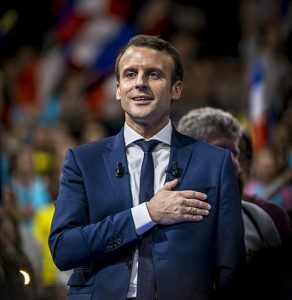 In Emmanuel Macron, France has a new president who is liberal and pro-EU. There are encouraging parallels with his En Marche movement and where the Liberal Democrats find themselves after the rapid growth in membership over the last two years. The headline is one of relief that Macron won a handsome majority over Marine le Pen. But the bigger earthquake is that his En Marche party has come from nowhere in little over a year. It’s rise reflects frustration with the established parties, and the widespread acceptance of a liberal mindset. The Liberal Democrat membership surge since the 2015 General Election began with Nick Clegg’s remarkable resignation speech, putting a powerful case for liberalism even as we had taken an almighty pounding at the ballot box. As he phrased it then “Fear and grievance have won, liberalism has lost”. Shock at that, and the referendum result, and Theresa May’s opportunism in calling the present election, have mobilised people in large numbers. Standing in Hertford and Stortford in 2017, I am humbled by the calibre of our new members, and working with a local party that has quadrupled in membership since then and is still growing. The 2017 general election seems very much about working with this new energy. Macron and En Marche, like the Liberal Democrats, are now part of ALDE, the Alliance of Liberals and Democrats for Europe. Their growth and ours feels like a reaction against the forces of division driving the rise of the far right. Rather to prove that point, Leave.EU, tweeted that the French people had once again “rolled over” just as they had done in 1940 — except this time they saved Germany “the bullets and the fuel”. The tweet also included a picture of a newspaper headline from 1940 reporting the surrender of France to the Nazis. That is a stark reminder of how far fantasies of the Second World War still haunt euroscepticism in the UK. What we’re up against is the gap between that, and a liberal and open perspective that founded the EU to protect us against a return to those dark times, and has the courage and openness now to find a wiser path than extremism. As some would turn the clock back, I am delighted to see both in En Marche and the LibDems, movements that are a its building for a stable future, where liberal values, rather than fear, are central. That’s a stark rebuke to the leadership both of the Conservatives and Labour. The need for En Marche reflects the failure of the major parties in France. The leaders’ debates on 2010 were ignited by Nick Clegg’s call for a new politics, away from Conservatives and Labour. Mobilising that sentiment for the Liberal Democrats inevitably changed us, but it’s hard to think of a time when there has been a more pressing need for Britain to seek a path that is open, tolerant — and deeply engaged with our European neighbours.